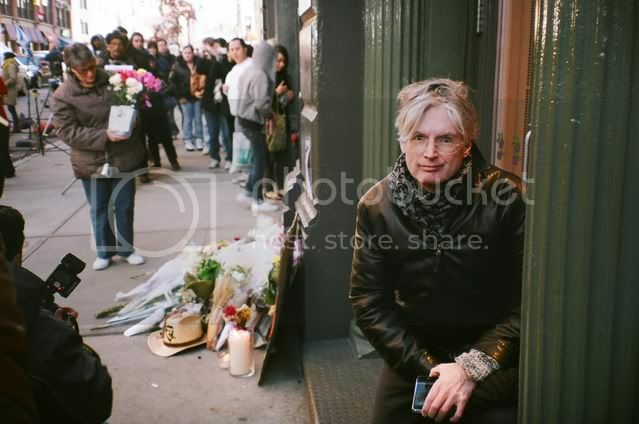 Meryl, I'm glad you and John were able to make the pilgrimage to Broome Street. Good work delivering the tribute, you guys. And thanks for posting those nice pictures. I think I may have seen the card on CNN a few minutes ago. John and Meryl, thank you so much for this. Meryl and John, thank you so much for making this terribly sad pilgrimage for Heath. I'm sure this was a very difficult thing to do. But, I'm just so grateful to know that our BetterMost community was represented there. I really do hope that Heath knew how many of us admired him and were thankful for his work. Thank you for doing that for those of us that could not do it. 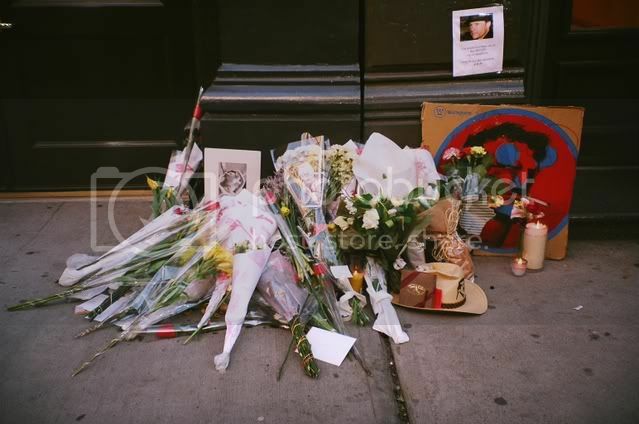 Oh god, seeing the tribute to Heath there on the sidewalk, especially the cowboy hat, and the cardboard painting of Heath. I just lost it again. I had the exact same reaction. The cowboy hat is really sweet. 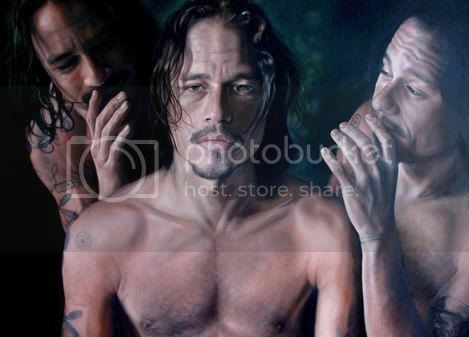 And, seeing these pictures of our friends there... geez... yes... makes it brutally real. Meryl and John thanks again for making the trip and paying this tribute. Again, I'm sure it was difficult. And here I am, sitting at my computer, crying again. Thank you so much for doing this. It's good to know that 'we' were all there because of your visit. It must have been difficult.